Having seen the fourth-generation Yaris break cover in sedan form back in 2018, the hatchback model doesn’t come as a surprise. It’s basically a sedan with the decklid chopped off and a tailgate mounted instead, but it’s not something I’m complaining about. The sedan looks rather cool up front, and the hatchback rids of the sketchy rear end, so it’s all aces here. 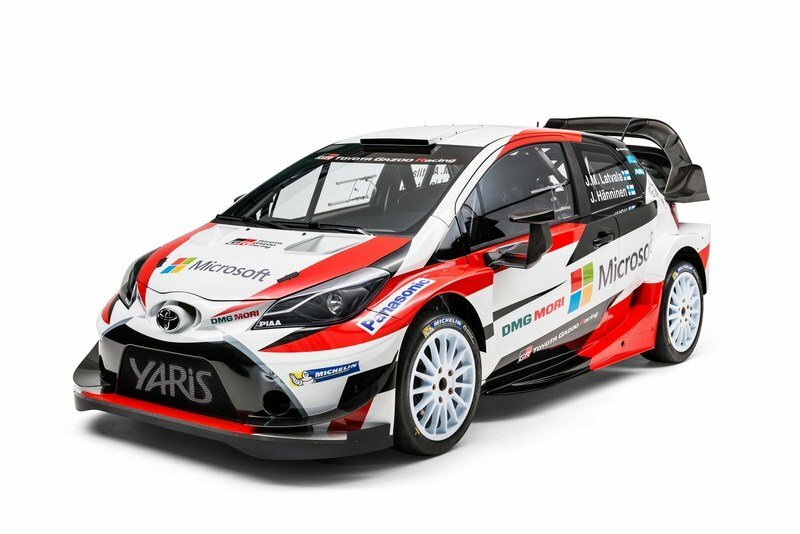 The Yaris’ new and aggressive front fascia isn’t surprising either. 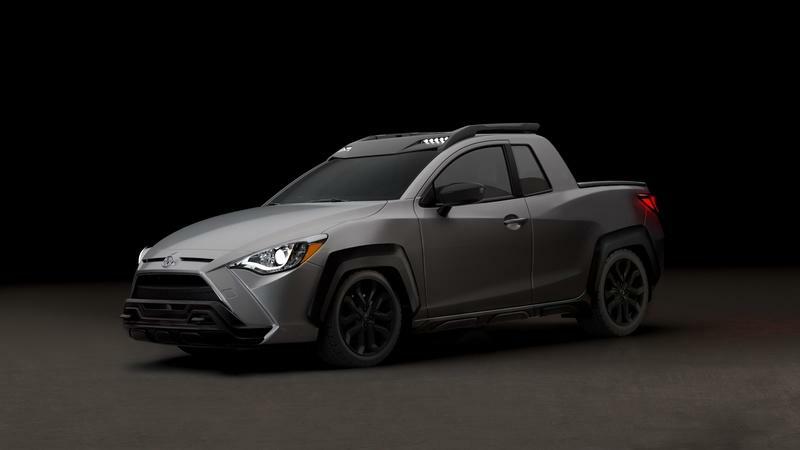 Toyota began using a massive grille and a bold nose on the Yaris a few years ago, when the small hatchback actually became a cool looking car, so this redesign is just another statement that Toyota no longer makes boring subcompacts. 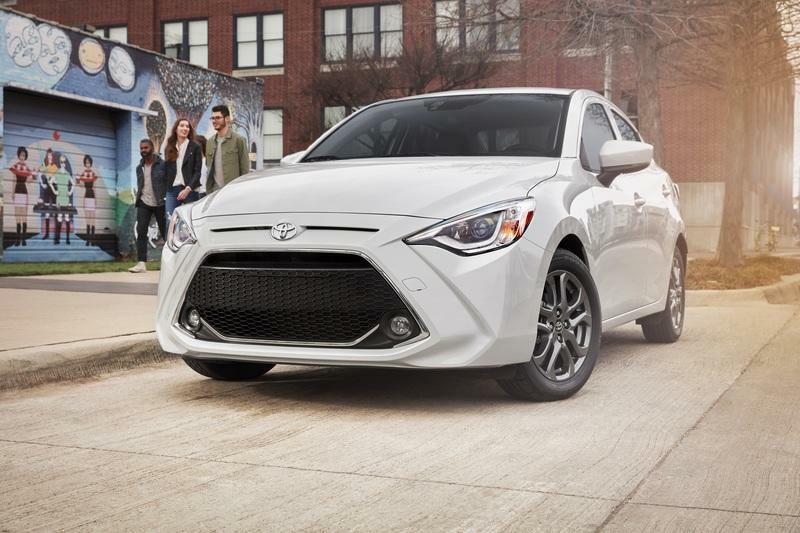 Pasted from the sedan, the hatchbacks front end brings together a trapezoidal grille that’s really wide at the bottom and features foglamps at the corners, swept-back headlamps with sharp corners, and two slim vents on each side of the "Toyota" emblem. The grille looks wider than it really is thanks to the angular shapes sculpted on each side and the absence of an actual apron. Needless to say, the rounded nose of the previous Yaris is gone, and I really liked it, but the new Yaris stands out as well, especially when compared to cars like the Ford Fiesta and the Volkswagen Polo. 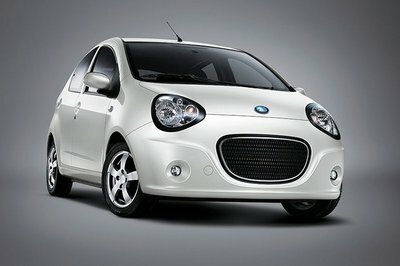 Granted, the Yaris’ face looks a lot like that of a small bulldog with big eyes, but it’s definitely unique and far from unappealing. Just like the sedan though, the hatchback looks mundane when viewed from the sides. The generic profile doesn’t really stand out, despite Toyota’s attempt to create a more sculpted waistline and a sportier roofline. It does have 16-inch alloy wheel and body-colored mirror caps as standard though, a nice feature in this affordable segment. 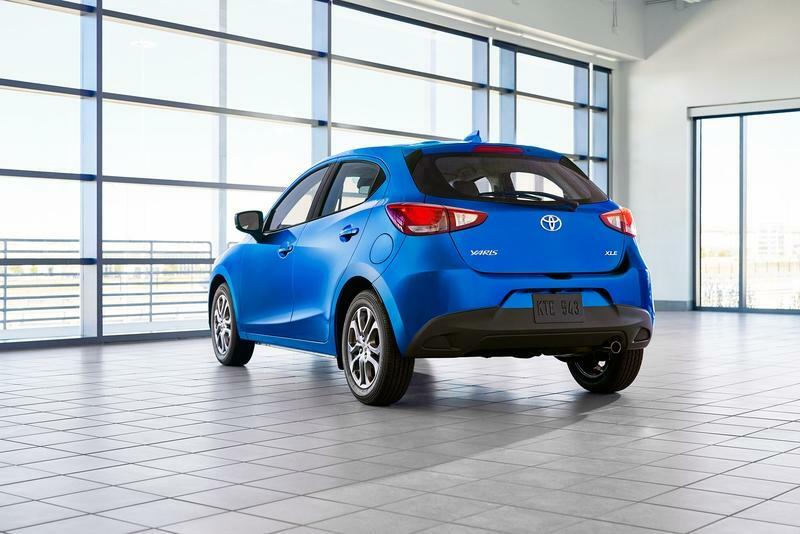 The hatchback body style prompted Toyota to make noticeable changes to the Yaris’ rear end. 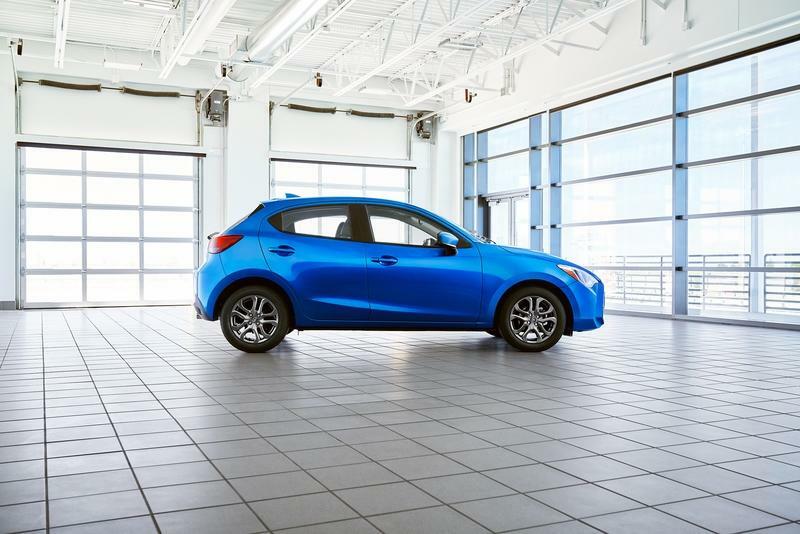 While the sedan looks a lot like the previous Mazda3, the hatchback stands on its own (although it reminds too much of the old Yaris). Notable changes compared to the outgoing model include a cleaner tailgate, a license plate recess integrated into the bumper, narrower taillights, and a simpler bumper — nothing to write home about, but a fresh design nonetheless. 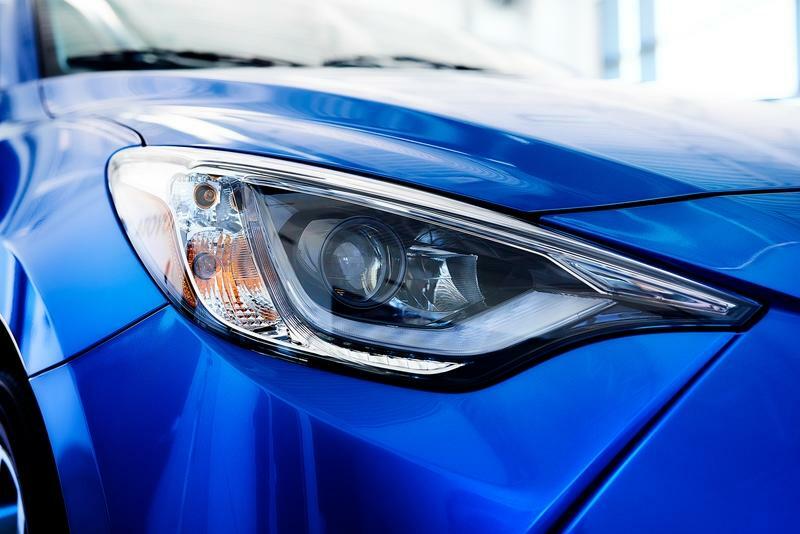 On top of the 16-inch alloy wheels and body-colored mirror caps, the Yaris also comes with standard LED headlamps, fog lamps, body-colored door handles, and chrome tailpipe. The side mirrors are power-adjustable, heated, and feature integrated LED turn signals. The updated color palette includes hues like Stealth, Graphite, Pulse, Sapphire, Chromium, Frost, and Icicle. 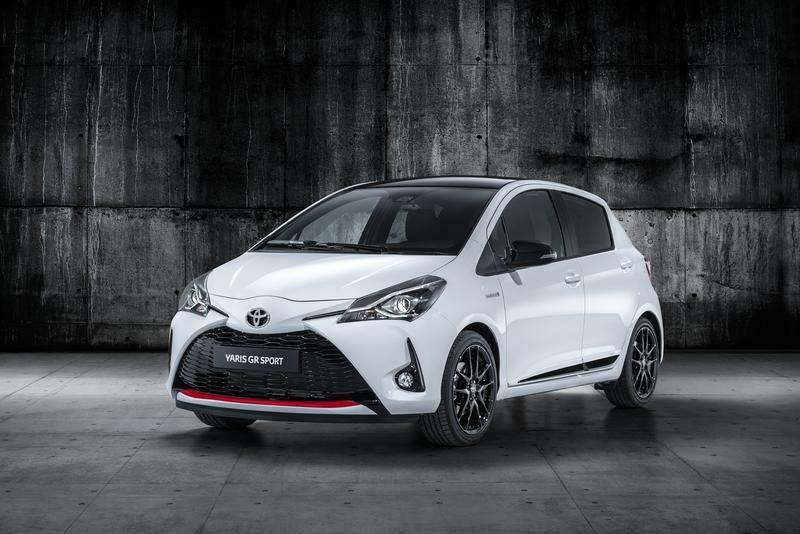 The new Yaris is about the same size as its predecessor at 161.6 inches long. This means that it fits in tighter parking spaces and it’s an ideal vehicle in busy cities with narrow roads. The 32.2-foot turning circle also helps. 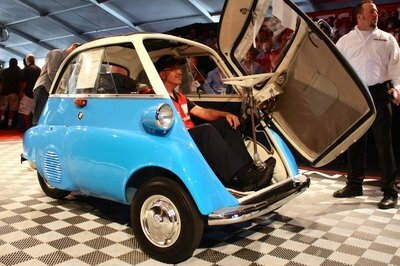 But while it’s about the same size as its predecessor, it’s wheelbase is 2.4 inches longer. 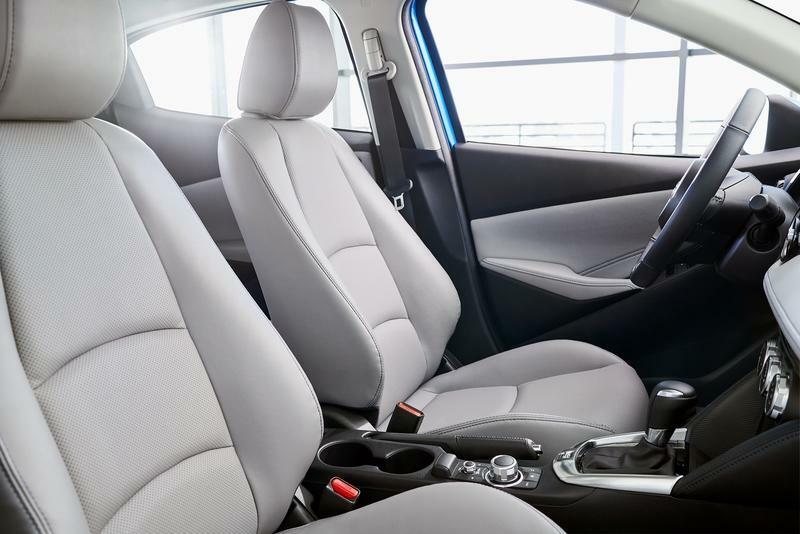 As seen in the sedan, Toyota made massive changes to the Yaris’ interior. Car’s these small usually carry over with many design cues, but we’re looking at a complete makeover. The first thing that catches the eye is the new dashboard that looks notably narrower. 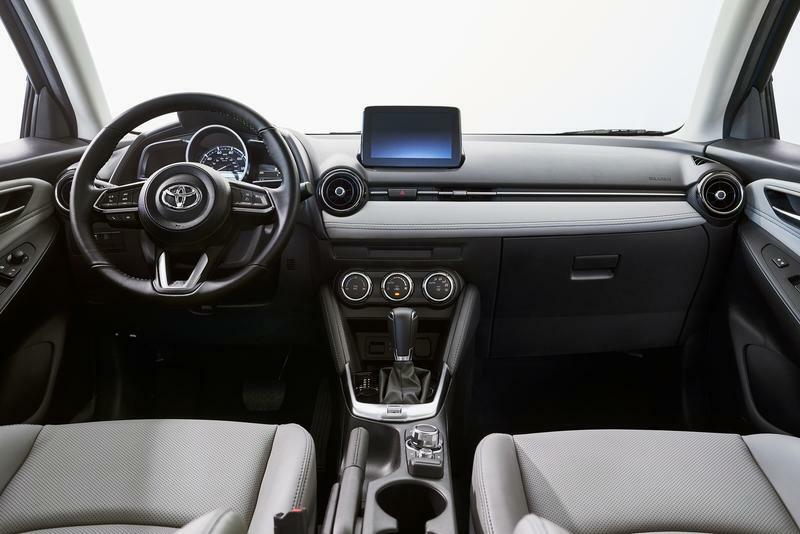 That’s because Toyota ditched the flat and vertical panel that covered the center section and held the infotainment display and various controls in place. Now, the Yaris features a taller center section that’s cleaner and narrower. The A/C vents are smaller, the leather-like fabric has contrast stitching, and the infotainment displays sits on the dash. Not only different and more modern, but the dash also feels more upscale now. Moving over to the instrument cluster we can see that Toyota dropped the traditional three-gauge setup. Instead, the main center gauge is flanked by two small displays. The whole assembly looks sportier too. The steering wheel retains the three-spoke layout, a favorite among carmakers, but the central section is smaller, and the spokes are sleeker and feature new controls. The center console is taller and wider now, like in larger vehicles. Being an affordable car, there aren’t many premium features to talk about. The base LE grade has fabric seats, while the XLE comes with seating surfaces made from faux leather. However, the EXLE includes a leather steering wheel, shift knob, and parking brake handle, as well as a choice of gray or black seating surfaces. But while it might not look very upscale, the Yaris comes with loads of tech for a vehicle in this class. 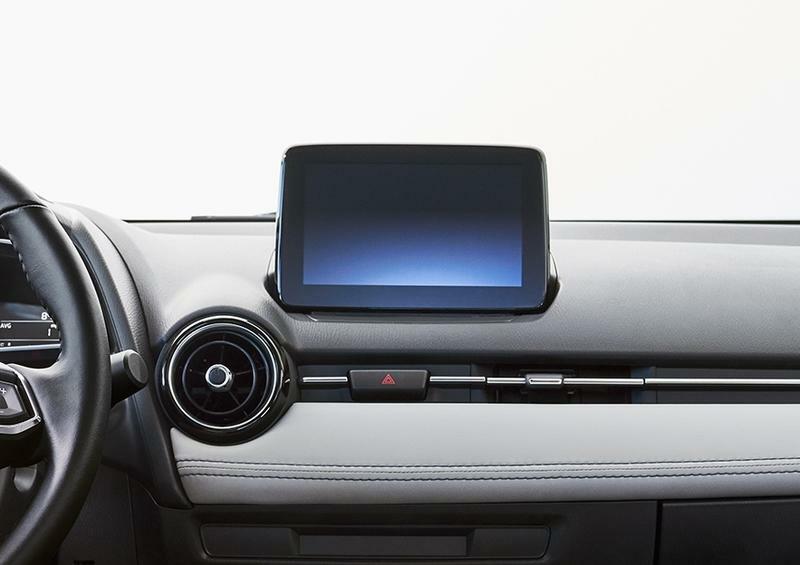 The standard seven-inch touchscreen is large enough for a subcompact and provides access to a number of common features for modern cars, including Apple CarPlay and Android Auto connectivity, Bluetooth wireless technology, voice recognition, and a six-speaker audio system. It also comes with SiriusXM Satellite Radio with a three-month All Access trial subscription to no fewer than 150 channels. The standard package also includes USB ports and auxiliary inputs for total connectivity. While their features are pretty common for non-premium subcompacts, the Yaris also comes standard with you’re not getting unless you’re buying a Volkswagen Polo. It has Smart Key Entry with Push Button Start, a rear backup camera, tilt and telescoping steering wheel, and illuminated vanity mirrors for both sun visors. More importantly, both the LE and XLE trims are equipped with navigation hardware. You still need to buy an SD card from Toyota in order to activate the navigation system, but at least you have access to it in the base model. Toyota has yet to release data about passenger space, but the new Yaris should be only marginally more spacious than its predecessor. But we do know that the interior is quieter thanks to a noise-insulated windshield and new sound-absorbing material in the tailgate, parcel shelf, and spare wheel well. The trunk is big enough to swallow up to 15.9 cubic feet of luggage. That’s a 0.6 cubic foot increase over the old model. While the Yaris offers two pound-feet less luggage room than the Corolla hatchback, it can actually take a bit more luggage than the Camry, rated at 15.1 cubic feet. The Yaris also provides more cargo room than its main rivals. 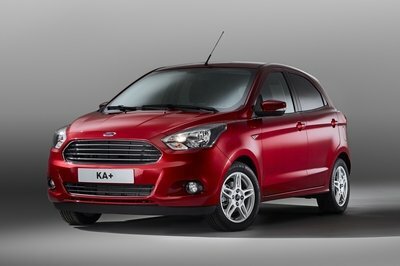 It offers an extra 3.5 cubic feet compared to the Volkswagen Polo and an extra 5.8 cubic feet compared to the Ford Fiesta. It falls behind the Kia Rio though, by 1.5 cubic feet. 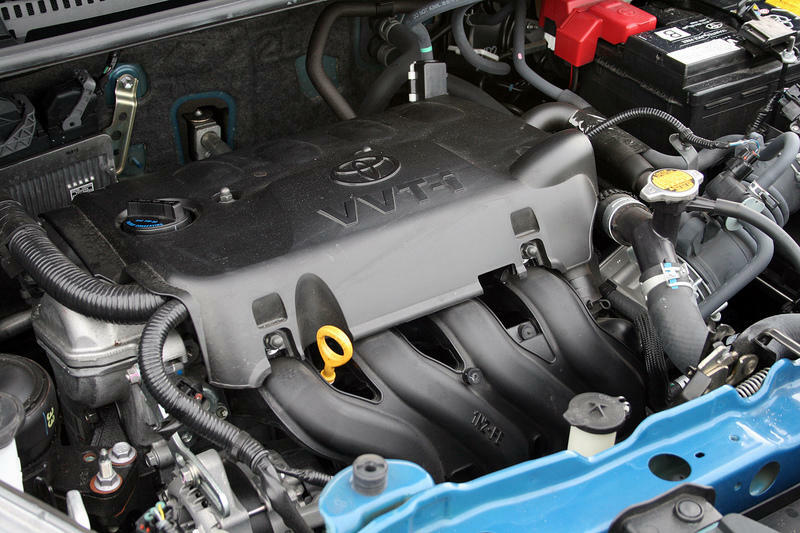 The fourth-generation Yaris draws juice from a 1.5-liter four-cylinder engine rated at 106 horsepower and 103 pound-feet of torque. Not only is it the same engine from the Yaris sedan; it’s the same engine from the outgoing model. 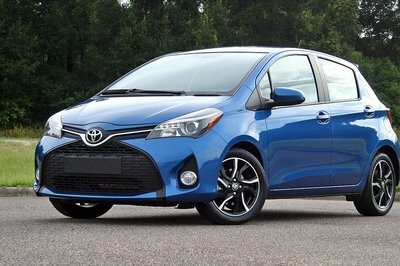 Toyota introduced the 1.5-liter four-banger when it facelifted the previous Yaris for the 2017 model year, replacing the old and familiar 1.33-liter unit. Stand out features for this mill include a high compression ratio, direct fuel injection, and dual overhead cams, all of which contribute to quick responsiveness. While drivetrain options might not be as varied as the Volkswagen Polo’s, for instance, the Yaris is almost on par when it comes to performance. Volkswagen does offer a 150-horsepower 1.5-liter engines, but all the other units, including the diesels, are less powerful. 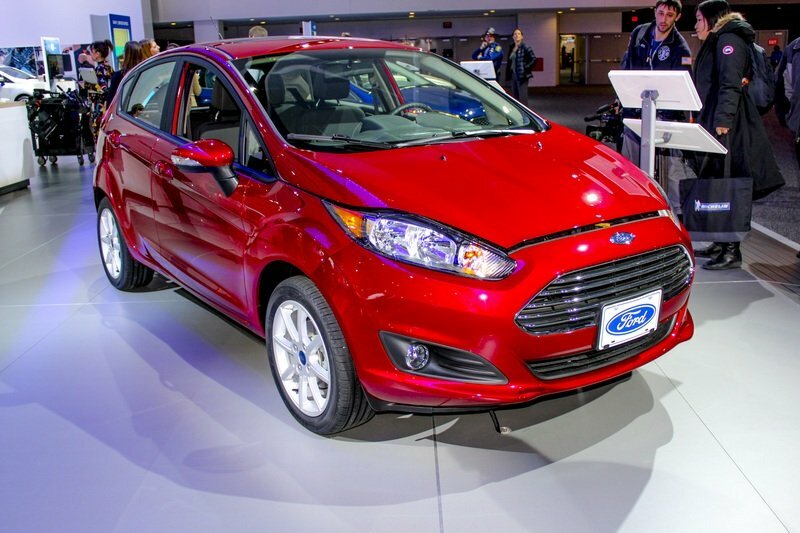 The Fiesta, on the other hand, benefits from a turbocharged three-cylinder that cranks up to 138 horsepower. The Kia Rio is on the milder side of the performance realm, but its turbocharged 1.0-liter delivers a solid 118 horsepower in top spec. In the U.S., the Rio features a 1.6-liter four-banger good for 130 horsepower and 119 pound-feet of torque. The big news here is that Toyota dropped both the five-speed manual and four-speed automatic transmissions from the old model. Instead, the Yaris now comes with a six-speed automatic as standard. This gearbox has a torque converter that locks in all gears for quicker and more shifts, but it also helps reduce fuel consumption. Economy ratings should be similar to the sedan at 40 mpg highway, 32 mpg city, and 35 mpg combined. 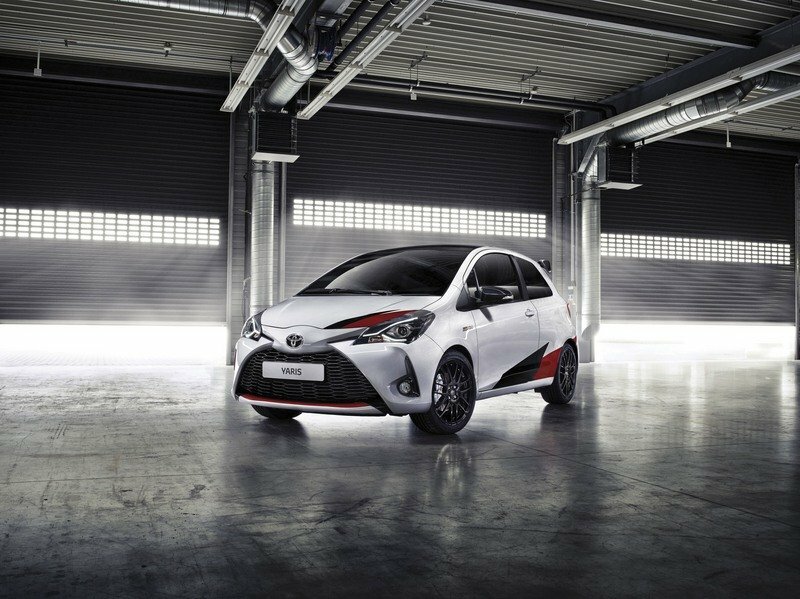 Another important highlight is the Sport Mode, which enhanced acceleration and turns the Yaris into a slightly more aggressive hatchback. Granted, the Yaris still needs some eight second to hit 60 mph from a standing start, but you rarely get a Sport Mode in a non-performance vehicle in this class. The suspension setup includes MacPherson struts in the front and a torsion beam in the rear. Nothing fancy, but it’s stiffer than the old Yaris, and that helps when using the Sport Mode for spirited driving. The rear wheels come with old-fashioned drum brakes, but the ventilated discs in the front keep braking distances in check. The Yaris was awarded a four-star overall rating by the NHTSA in recent years, so it’s a pretty safe vehicle. But Toyota is looking to improve the rating by adding new active features as standard. The redesigned hatchback now comes with a Low-speed Pre-collision Safety System that scans the road ahead for potential vehicle collisions. If a potential collision is detected, an audio and visual alert is issued, while the braking assistance system activates automatically. If you do not respond to the warning, the braking system applies the brakes in order to avoid the impact. The Yaris also comes standard with an advanced active safety system that includes Dynamic Stability Control (DSC), Traction Control System (TCS), Anti-lock Brake System (ABS), Electronic Brake-force Distribution (EBD), Brake Assist (BA), and Brake Override System (BOS). There are six airbags to keep occupants safe, including curtain airbags for both front- and rear-seat passengers. Toyota has yet to announce pricing for the new Yaris, but it did say it will be offered in two trims: LE and XLE. The company is making things a bit simpler, as the outgoing model is available in three grades: L, LE, and SE, two of which are three-door variants. The outgoing LE trim retails from $17,285, so it’s safe to assume that the new Yaris will start from around $18,000. The range-topping XLE could fetch anywhere between $19,500 to $20,000. 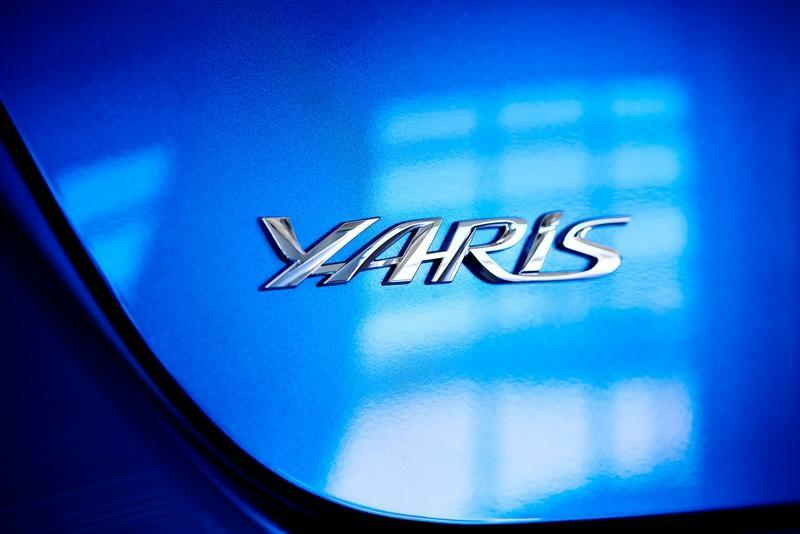 Each Yaris will be sold with a 36-month/36,000-mile new-vehicle warranty that applies to all components other than normal wear and maintenance items. The additional 60-month warranties cover the powertrain for 60,000 miles and corrosion with no mileage limitation. 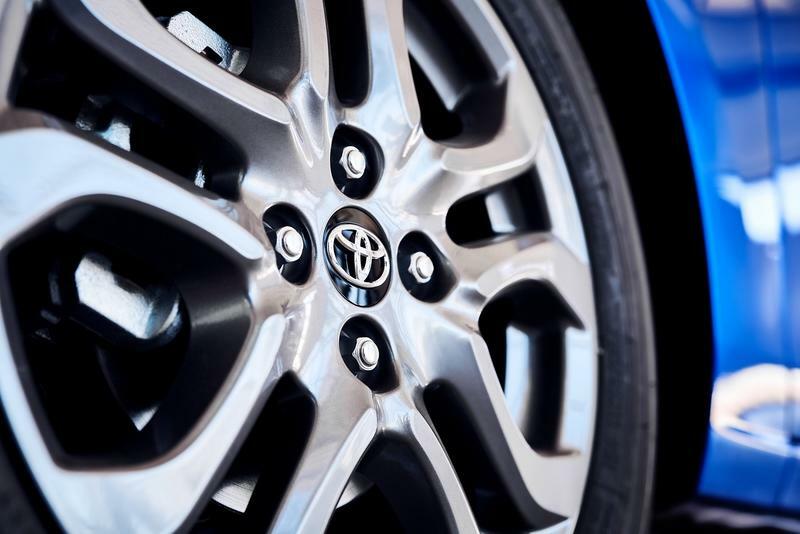 There’s also the complimentary Toyota Care that covers normal factory-scheduled maintenance and 24-hour roadside assistance for two years or 25,000 miles, whichever comes first. 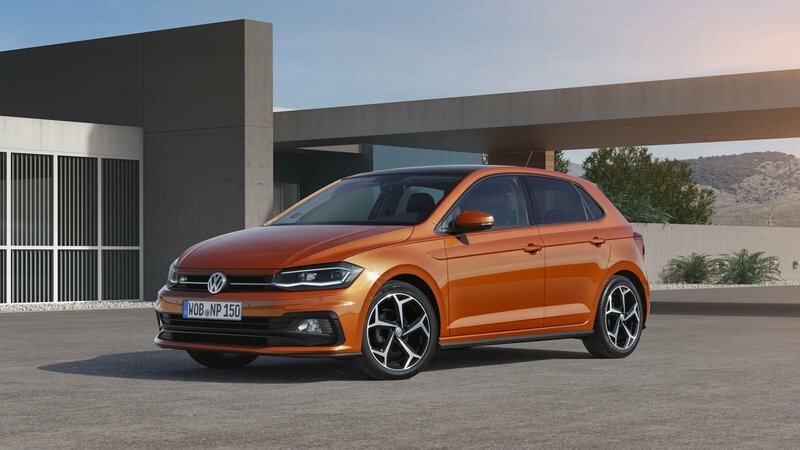 One of the most popular subcompact hatchbacks, the Volkswagen Polo was redesigned for the 2018 model year. Essentially a smaller Golf, the Polo is sportier than before design-wise, and it boasts a premium-like interior with class-leading features. Not only does it have a digital instrument cluster for the first time, but it also includes Volkswagen’s second-generation Active Info Display. It also comes with an impressive array of active safety features that you can’t have with other brands, but the majority of them are optional, as is the adaptive cruise control system. Trunk space increased by 25 percent with the redesign, but the Polo still isn’t as spacious as the Yaris. Drivetrain-wise, the Polo is available with many engine options. On the gasoline front, there’s a 1.0-liter three-cylinder with 65 to 115 horsepower and a 1.5-liter four-cylinder with 150 horses. A 1.6-liter delivers 80 and 95 horsepower, while a 1.0-liter working on natural gas comes with 90 horsepower on tap. Transmission options include five- and six-speed manuals and the familiar seven-speed DGS. 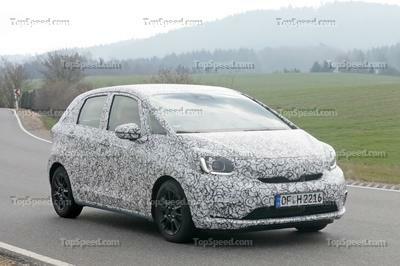 The bad news is that the Polo isn’t available in the U.S., so it will only compete with the Yaris hatchback in Europe. Read our full story on the 2018 - 2020 Volkswagen Polo. The current Fiesta is also relatively new, as Ford redesigned the hatchback for the 2017 model year. Now in line with the brand’s corporate look, it has a sleeker appearance and a wider stance. The sporty exterior is combined with a more appealing interior that includes a larger infotainment display with more features. The base unit measures 6.5 inches, smaller than the Yaris, but you can upgrade to an eight-inch screen. There’s also a digital instrument cluster and improved seats. The Fiesta isn’t very spacious behind the second-row seats though, having the smallest trunk in this comparison. Engine options are just as varied as the Polos. You can opt from a 1.1-liter engine with up to 85 horsepower and a 1.0-liter EcoBoost that cranks out up to 138 horses. Diesel options include a 1.5-liter diesel with 84 and 118 horsepower. Unfortunately, the Fiesta is yet another hatchback that’s not available in the U.S. Ford announced it would remove all cars except for the Mustang and the Focus Active from its North American lineup and the Fiesta will no longer cross the pond. Read our full review of the 2018-2020 Ford Fiesta. The Kia Rio might not be as popular as the Polo and Fiesta, but it’s been around since 1999, long enough to become a worthy competitor. And while the older generations had issues in keeping up with the competition, the fourth-gen Rio is ready to give its rivals a run for their money in every department. A significant departure from its predecessor design-wise, the Rio still looks somewhat mundane, but its clean exterior should age pretty well. The cabin isn’t as fancy as the Polo’s, but it looks a bit more upscale thanks to smoother plastic surfaces and soft cloth upholstery. It comes with a sizable touchscreen, Apple CarPlay and Android Auto compatibility, and Autonomous Emergency Braking with pedestrian recognition. Drivetrain options include a 1.25-liter four-cylinder with 83 horsepower, a 1.4-liter with 98 horsepower, and a 1.0-liter turbo with 99 horses. The latter generates 118 horsepower in the range-topping version. Although the sedan is available in the U.S., the hatchback has yet to cross the pond. 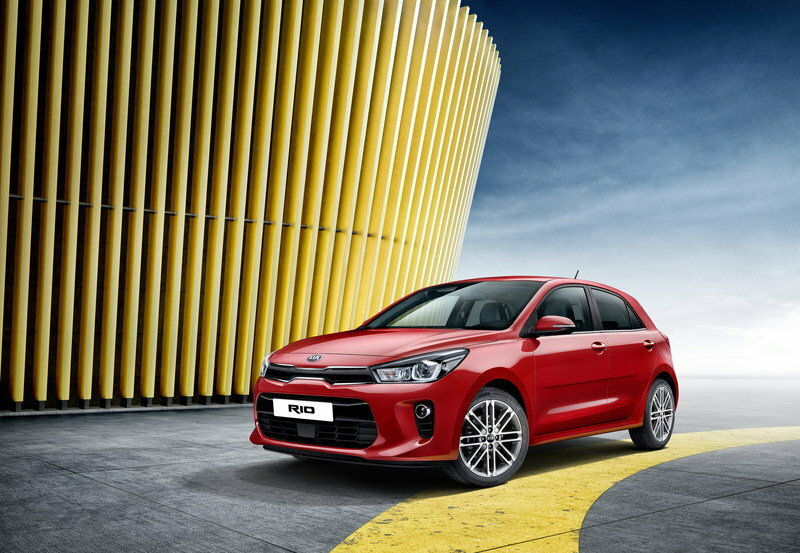 Read our full story on the 2017-2020 Kia Rio. 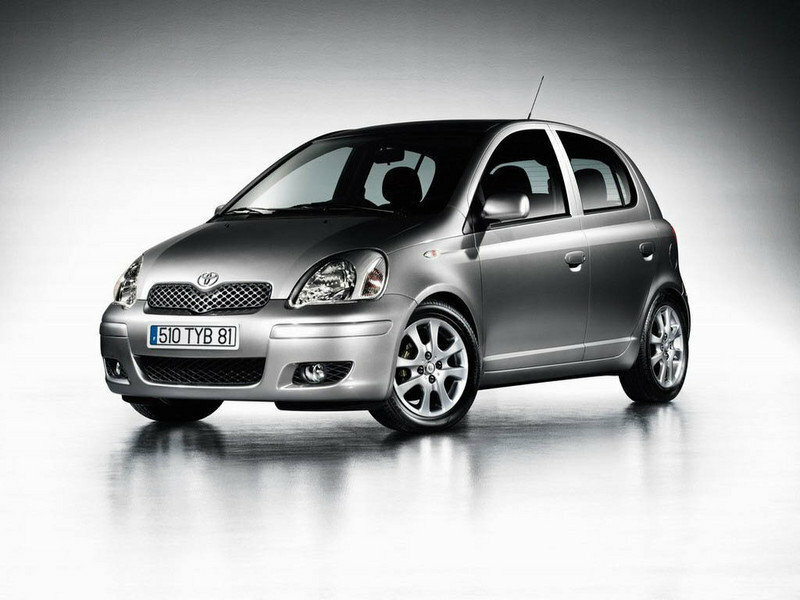 The Toyota Yaris has been a reliable and relatively popular hatchback since day one. The Japanese carmaker set a new standard with the previous-generation model through a more youthful design and the much-needed, high-performance GRMN variant. The fourth-gen model takes things up a notch in the design department, but it also move up the subcompact ladder with a more upscale interior, better technology, and more safety features than ever. It probably won’t steal too many customers from Volkswagen and Ford at first, but needless to say, it’s heading in the right direction. The only things it lacks at this point are more engine options and a new version of the GRMN hot-hatch. The long list of standard features includes many that are usually optional or offered only on upgrade models: Smart Key Entry with Push Button Start, fog lights, variable intermittent windshield wipers, rear backup camera, tilt and telescoping steering wheel, chrome interior door handles, and driver and front passenger sun visors with illuminated vanity mirrors. There’s even a first aid kit. The standard 7-inch Touchscreen display audio system is ready to rock or hip-hop with clear, powerful sound played through six speakers. Maximizing connectivity and control, the system is equipped with standard Apple CarPlay® and Android Auto® as well as voice recognition and Bluetooth wireless technology for hands-free phone operation. The 7-inch touchscreen display screen is a touchscreen or can be controlled by the remote commander knob. Standard SiriusXM Satellite Radio comes with a three-month All Access trial subscription (150+ channels, including commercial-free music). USB ports and an auxiliary input ensure connectivity for all types of devices, and the sporty steering wheel integrates control switches for the audio and phone. 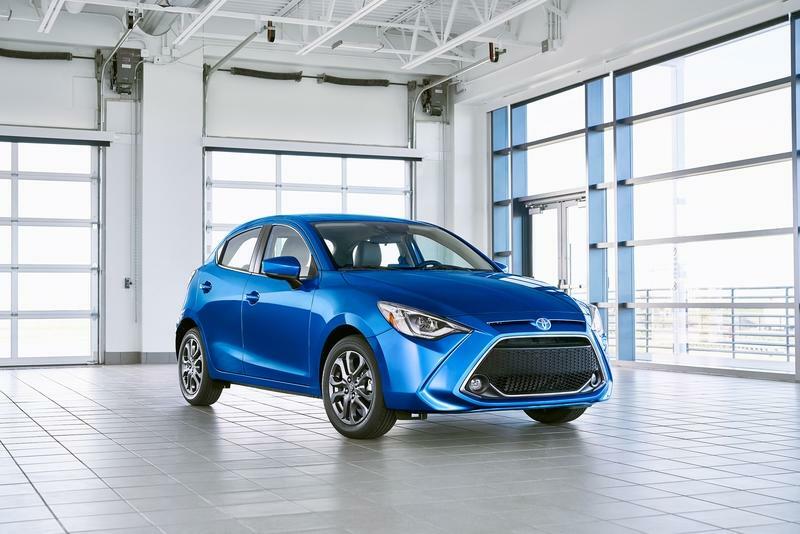 Here’s another surprise from the 2020 Yaris Hatchback: both the LE and XLE grades are equipped with navigation hardware; the customer simply needs to buy the accessory SD card through a Toyota dealer to activate navigation capability. 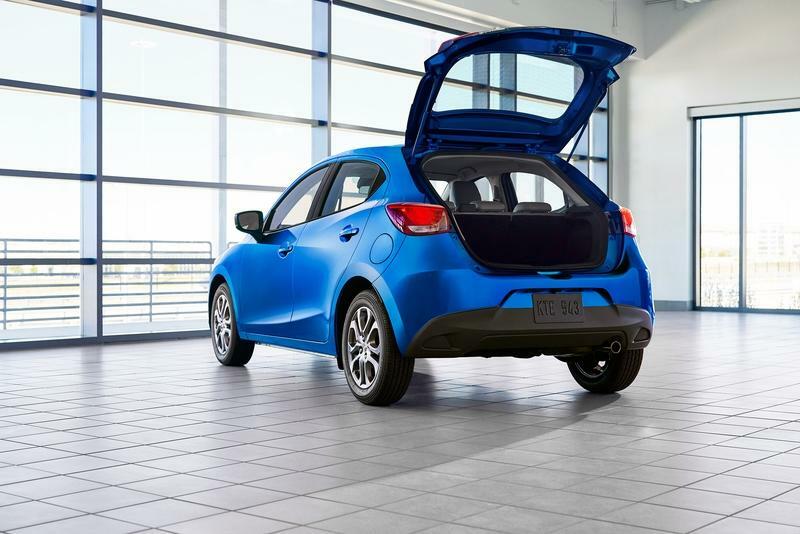 The taut lines of the 2020 Yaris Hatchback are stretched over strong, athletic bones. The body structure comprises 65 percent ultra-high tensile steels and is based on a continuous framework using straight beams wherever possible for maximum strength. The high structural integrity allows the MacPherson strut front suspension and torsion-beam rear suspension to be tuned for ride comfort and handling agility that exemplify the model’s “class above” driving dynamics. 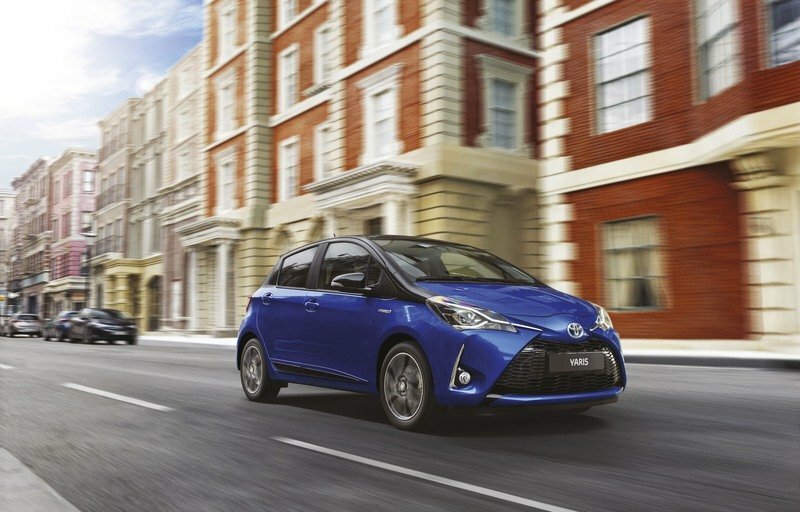 Translation: the Yaris Hatchback is a hoot to drive and a comfortable commuter. Yaris gets its high appetite for fun and low appetite for fuel from a 1.5-liter inline four-cylinder engine that delivers 106 horsepower. High-compression (12.0:1) and direct fuel injection give the engine ultra-quick responsiveness that’s ideally matched to the standard 6-speed automatic transmission. The transmission’s torque converter locks in all gears for quicker, more direct shifts and greater fuel efficiency. Another surprise in this class is a Sport Mode, which changes the car’s personality with enhanced acceleration response.